There are so many different kinds of moisturizers out there, and when I came across vegetable glycerin as a simple and effective option, I was super excited to give it a try! This DIY Natural Facial Moisturizer takes no more than a couple minutes to make. For the longest time I’ve been on the search for a completely natural moisturizer for my face. I’ve used a moisturizer since I was really young and I’d have to say it’s one of the most important parts of my skincare regime. I’ve tried coconut oil, shea oil, shea butter, jojoba oil, safflower seed oil, vitamin e oil, and they all have a tendency to make my skin break out, so I avoid oils. Recently I learned that glycerin might be a good option: I figured it’s the main ingredient in most lotions that have never caused me a problem, and it’s water-soluble. And that’s how this super simple, two-ingredient moisturizer spray was born! I love using it on my skin and it provides the same amount of moisture as any other lotion. Vegetable glycerine is great for dry skin; it’s a humectant meaning it helps to draw and retain moisture. 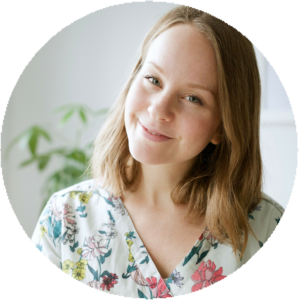 It’s water-soluble, which I love as it’s not a heavy oil, and it leaves your skin super soft. 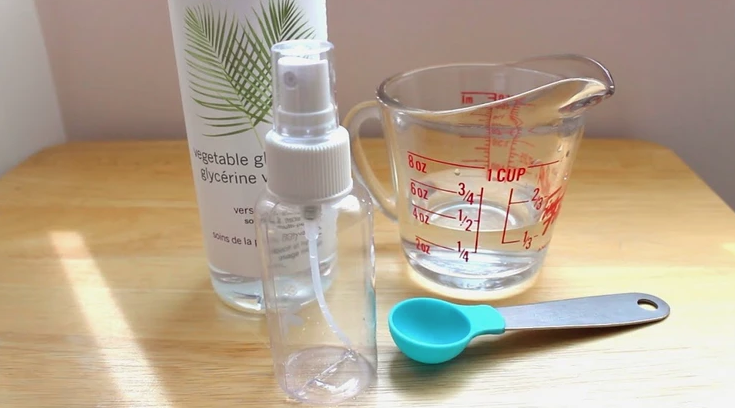 A simple moisturizing spray made with vegetable glycerin and water. Simply add 1/2 tbsp of glycerin into empty bottle, add water, twist on cap and shake the mixture together. If you’re looking for extra moisture, you can use 1 full tbsp of glycerin; I just find it takes a little longer for your skin to absorb it. For an additional touch, add a drop or two of your favourite essential oil to give it a refreshing or soothing scent. Lavender, grapefruit or tangerine would work well! Spray onto hands or directly on face, and gently massage into skin.